Use coupon HOLIDAY2014 on www.e3live.com, offer ends Jan. 2nd. As 2014 comes to a close and we set our sights on a new year filled with new opportunities and new adventures we wanted to extend you an offer to help keep you and your family in good health. Our premium superfood has helped so many do so much, and we are thrilled to be a key component of the healthy lifestyles of our clients. We are looking forward to another year and expanding our family circle to affect positive change in people’s lives. As the new year approaches, many of us set new goals for ourselves to accomplish. We aim to eat more healthy. We put together a new exercise routine to implement for a physically stronger and better self. Often times we forget about our minds and how they are truly connected to our bodies. Many think of the two as separate systems and that they function independently. Science, however, has proven that they are not two but one and every part of the body is the mind expressing itself through that part. When something goes wrong it is usually a combination of physical and emotional causes. There is strong belief in the statement ” As you think so you become”. We truly are in charge of our attitudes and feelings but we cannot determine the outcome of every circumstance in life. WE DON’T CREATE OUR OWN REALITY BUT WE ARE RESPONSIBLE TO OUR REALITY. Like a ship on the ocean, we can’t direct the wind but we can adjust the sails. It is extremely important to guard our thoughts and the things that we allow to enter into our minds on a regular basis. It is equally important to make available “quiet time” to feel what your body is feeling in order to awaken our intuition. Partake of positive and healthy nutrition for our minds just as we do our bodies and counteract negative stresses in the form of mindful activities as we do with physical exercise for our bodies. Here’s to a happy and healthy new year! Don’t forget to submit your story and why you feel you would enjoy experiencing a complimentary coaching course with Eden Myers at edenmyers1@gmail.com. As a certified coach and wellness advocate, she strongly believes in paying it forward and is anxious to share the benefits of this course with you! Most people would feel bad about destroying the property of another person. Yet they are not kind to the very property that they have been gifted………….their body! 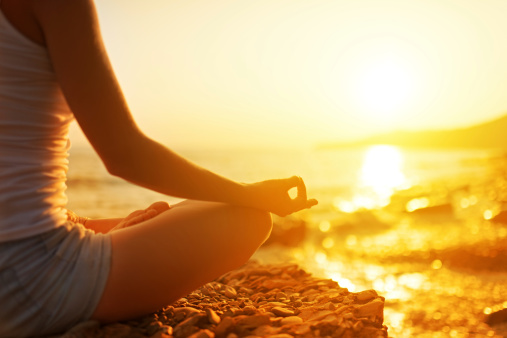 Guarding our body, mind and soul is very important. If it is not a daily practice now, we must protect our health first of all by paying attention to what we put into our mouths. Eat smaller portions. A plate full of greens and whole foods with a diet omitting ingredients that we cannot pronounce is an excellent way to care for this temple we were given. Along with a proper diet and a practice of good habits, we must also protect ourselves from negative information and people. We often fail in this endeavor as we let useless information and stupidity into our minds. By watching television and listening to the media, we allow the trite and negative to enter our minds ever so slowly. From all of this we do not grow wiser but instead we become less informed, and poorer. Feed your brain with positive and empowering information. Take a look at the people we let into our lives. Are we allowing in those who are negative, those who poison our potential? Are we always allowing ourselves to be hurt? If so, these people must go! Don’t think they will go on there own for they will stay around as long as we allow it. At the same time, it is uniquely important to surround ourselves with people who are positive, inspiring and possess a kind spirit. Invite them into your home, into your circle of friends and into your life. It is up to us to be fierce guardians of our happiness and our humanity. 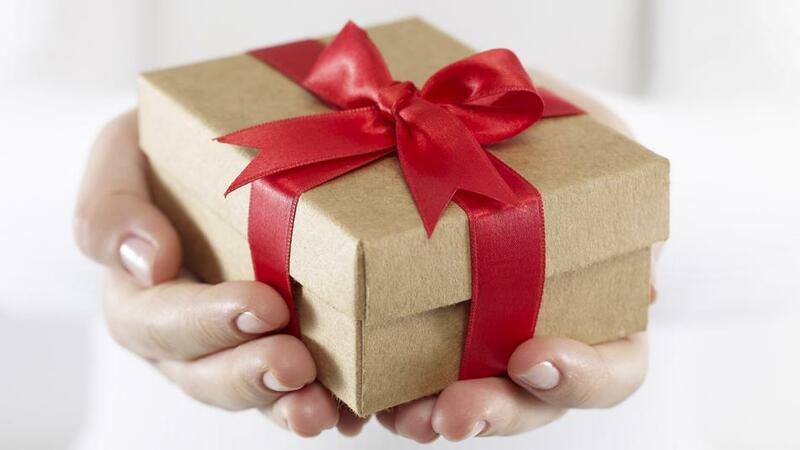 3 All Natural Beauty Solutions – Great as Stocking Stuffer Ideas! All natural beauty is a special passion of ours. We believe these formulations will be new favorites—whether they are for Christmas, Hanukkah, or just special December treats to yourself! Here’s to your health and happiness this holiday season. Place ingredients into the carafe of the Vita-Mix (or other high-speed blender). Add water and salt. Secure lid and select Variable 1. Turn machine on and quickly increase speed to variable 10. Blend until nuts are completely broken down. Be careful not to blend too long, as the friction from the blender will create heat. Place you E3Live nut milk bag into a large deep bowl. 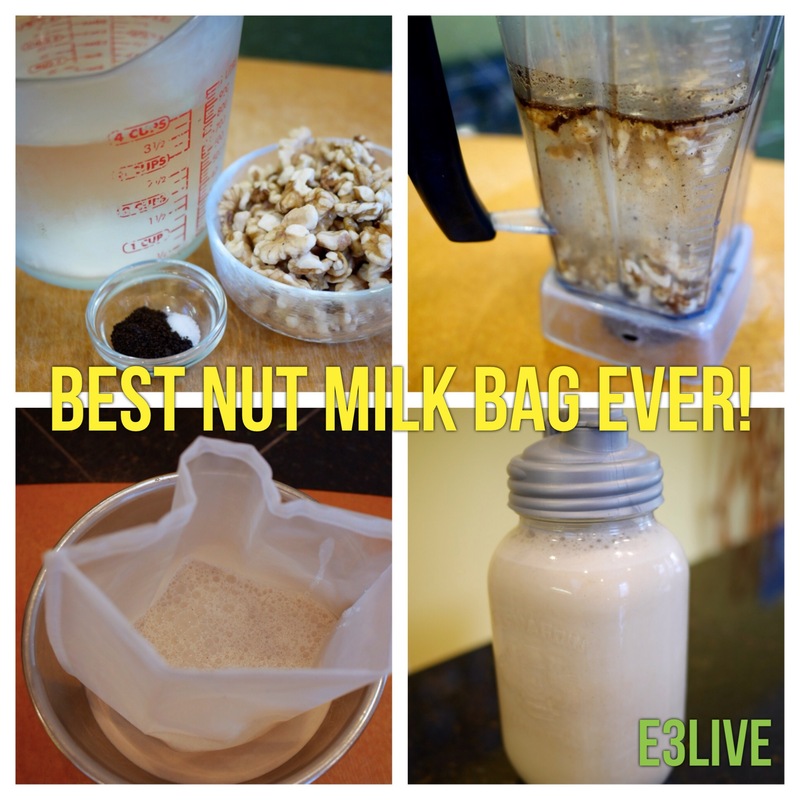 Pour your milk through the nut milk bag and squeeze as much of the moisture out as possible. Drink your yummy, smooth fresh walnut milk on it’s own, with Roberta’s Raw Mulberry Granola, or in a smoothie! I think it’s sweet on it’s own but if you like a sweeter milk you can add a little coconut nectar, a few dates, or lucuma powder. Note: Reserve your pulp to use in a cake, crouton, or bread recipe. It will freeze well until you have enough saved to use. Roberta Walker is a former pro snowboarder who runs Infamous Athlete Management company and is sustainable living advocate. She is into raw food, sometimes vegan, but mostly REAL FOOD, health, surfing, snowboarding, , creating, traveling, friends, fun, fitness, yoga. Check out her blog www.beingberta.com and find out about Life Being Roberta Walker! Years ago I found myself struggling with feelings of inadequacy and lack of self confidence. The influence of a close person in my life had me feeling as if I wasn’t doing the right thing – as if the path that I chose to explore was wrong. As I opened up my mind, I began to attract into my life individuals and mentors that soon helped me to realize that this was my life to live as I saw fit. I chose to continue my path and build upon it in such a way that I could help others who struggle as well. As I took the steps and developed the fortitude to press forward, I found wisdom and knowledge. I experienced love and gratitude. I have not only encountered individuals who have helped me, but also loving and caring individuals that I am able to help. As this year of 2014 winds down, I reflect on my growth and the blessings that I have received. As a now certified life coach under the Proctor Gallagher Institute , I choose to PAY IT FORWARD and am offering a free self development course ($1,000 value ) to a desiring individual beginning Jan 15, 2015. It is a 6 session course and is designed to help you understand the mind and how the different areas of our brains affect the way we think and act. I will help you implement the simple changes needed to help you break through those barriers that so many of us experience yet don’t understand. I will help you discover your passion and your ability to live a life that is filled with more fulfillment and joy! We all get what is just and due by the work we do and the selves we become! Share with me your brief story (send to the email below), your want for more and your desire to be more! Please include your name, address and telephone number. All entries are kept confidential. The winner will be decided on January 5th after which we will begin to prepare for this amazing transformational course to take place for you. Send your story and contact info now to Eden Myers at edenmyers1@gmail.com. Brighten your mood during the holidays with Phenylethamine (PEA)! PEA helps brain cell function and promotes mental clarity, focus and balanced mood. 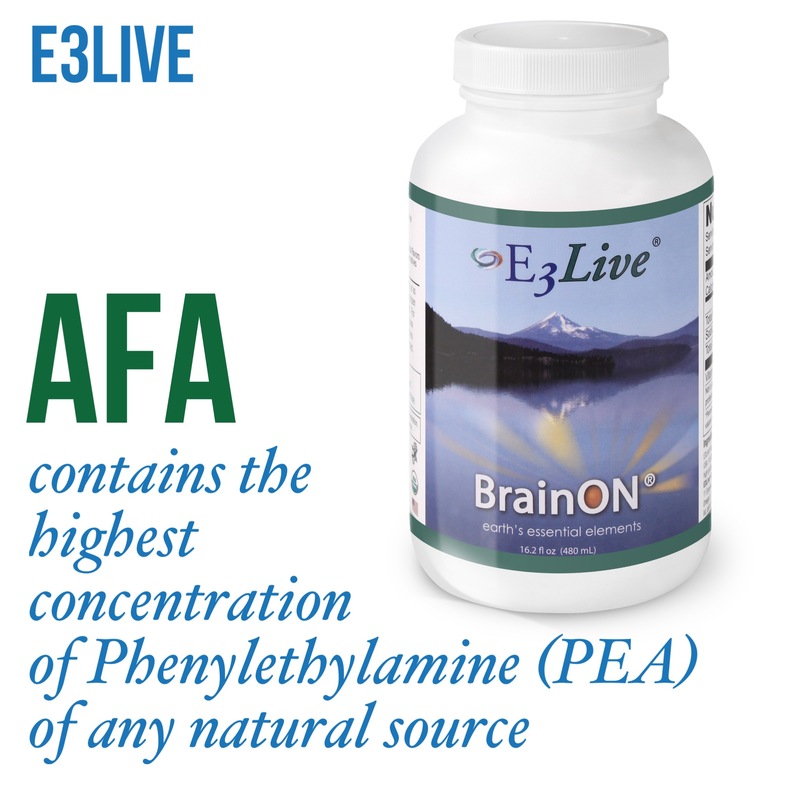 E3Live + BrainON is fresh-frozen E3Live with a super concentrated Organic E3AFA (Aphanizomenon flos-aquae) extract of Phycocyanin and PEA. So more PEA for you! Use coupon DEC2014 on http://www.e3live.com to get a Free bonus bottle of 16oz E3Live + BrainON when you purchase a 6-pack of the same, offer ends Dec 25th, 2014.